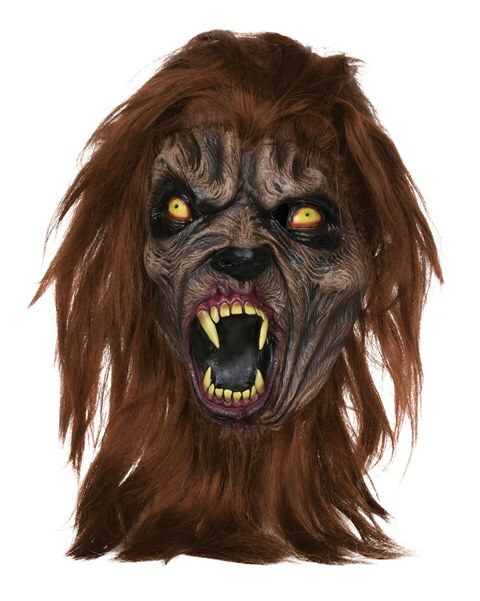 Full over the head brown werewolf mask. This awesome mask is a latex mask covered in hair, has pointed ears, yellow eyes and large very scary looking fangs. Definitely not something you want to see coming out of the dark on any night.